In februari 2013, Van der Haas GmbH took a new vehicle into operation. The Mercedes Actros 2542 L 6×2 Stream Space is chosen because of it’s Euro 6 emission standard, efficiency and driving dynamics. The vehicle is equipped with an EBO van Weel body and MKF transport cooling. 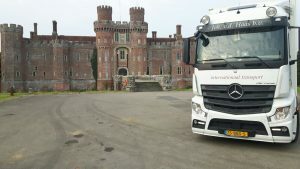 This Mercedes, which Van der Haas first Euro 6, will be used in the international transport of young plants.